A warts-and-all celebration of mothers (human and animal) everywhere, from the popular Devonbased radio presenter. Simon Dawson is a broadcaster, smallholder and author of several books including humorous life-on-a-farm memoirs. However, his cheery exterior masks a very unhappy past. His mother did not love him, and informed him of this fact often. She spent most of his childhood trying to find someone she could give him away to, played him off against various gangster lovers and abusive boyfriends, failed to feed him and overtly taunted him. Simon, meanwhile, lost his virginity to a much older woman, failed spectacularly at school, and took the blame for their house burning down. But eventually he found a soul mate and together they now care for a menagerie of animals. In his new book he decides not just to face up to the emotional damage his mother inflicted on him, but to try to understand her and achieve some kind of reconciliation before she dies. Was it his innate unloveableness, or was it something that would now be called postnatal depression? Warm, witty and honest, the book charts the humour, the anger, the confusion, the hurt, the hate and the desperation of a mother who can’t give love and a son longing for it. All of this is set against the backdrop of present day life on the farm where some animals also mysteriously reject their young. 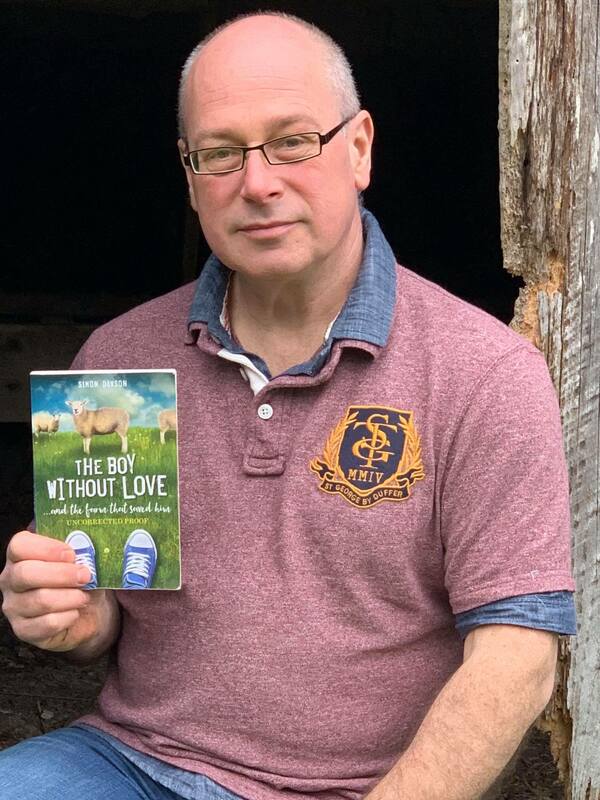 Simon Dawson is a journalist, radio presenter and author of the hit nature and selfsufficiency books The Sty’s the Limit and Pigs in Clover. Following a drunken misunderstanding, Simon agreed to give up his London life and move to the wilds of Exmoor, where he and his wife Debbie started a 20-acre self-sufficient smallholding from scratch, packed with free-range animals. As seen on Ben Fogle: New Lives in the Wild UK. ‘Deeply moving, this is the most authentic book I’ve read for a long time.